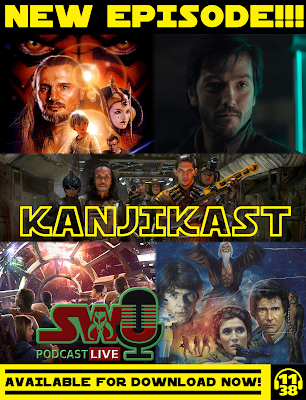 On this episode, we debut a new format for Kanjikast! First, Dominic chats with Mark Dennison about their memories of the old expanded universe (now known as "Legends") and their thoughts on the current Star Wars publishing. Then, Ben chats with Joey Mays about a whole variety of Star Wars topics including Galaxy of Adventures, The Clone Wars seasons seven, and the upcoming Cassian Andor TV series. Finally, Chris chats with Katie Horn about growing up with the Prequel Trilogy, the future of Star Wars in cinemas, and Galaxy's Edge. All this and much more!